As if you need any new reason to eat baguette. As if you don’t already have a stash of favourite uses. As if you couldn’t come up with a few new ways on your own! But here are some popular ways to eat baguette, from my house. 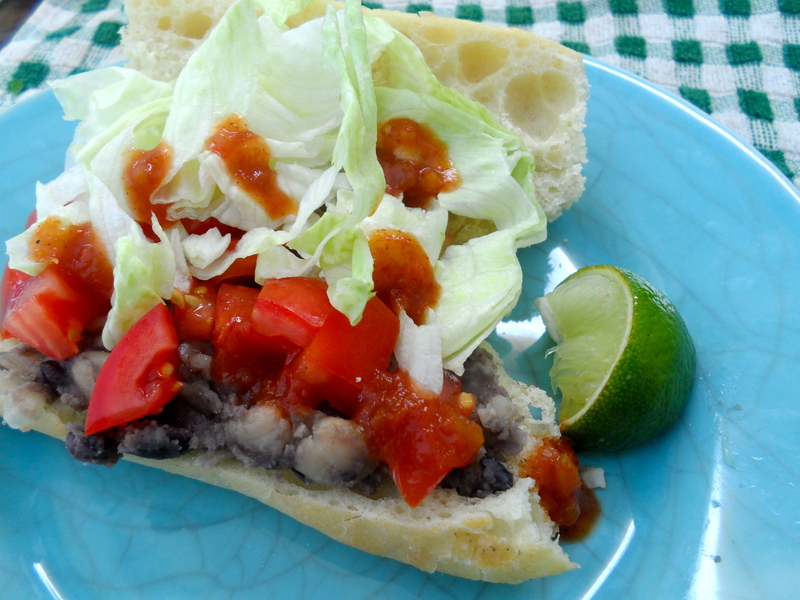 When there is left-over black bean taco ingredients, minus the corn tortillas, I reach for a chunk of baguette. This is a popular one if I’m (we’re) going to be out over lunch-time. A whole baguette (or a long chunk) sliced in half like a sub sandwich. 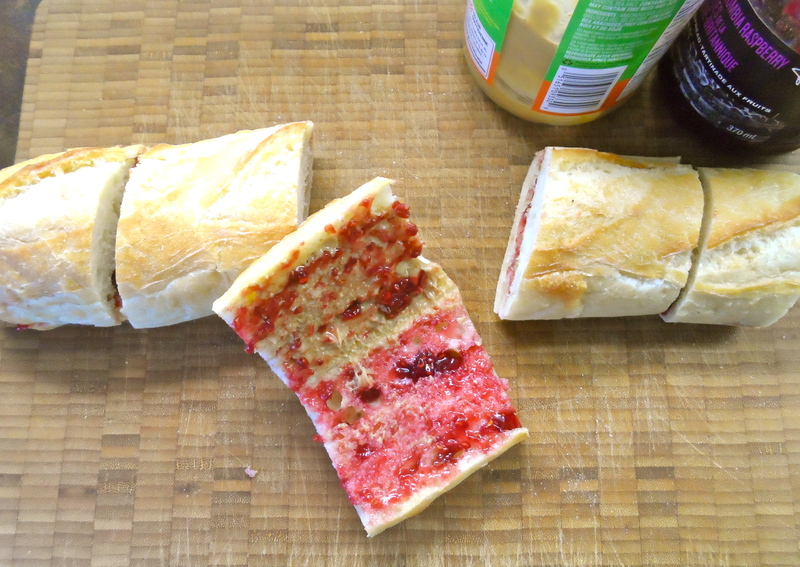 Spread with peanut butter on one half, jam on the other, then closed and pressed together lightly. Cut into smaller chunks (and packed for later). 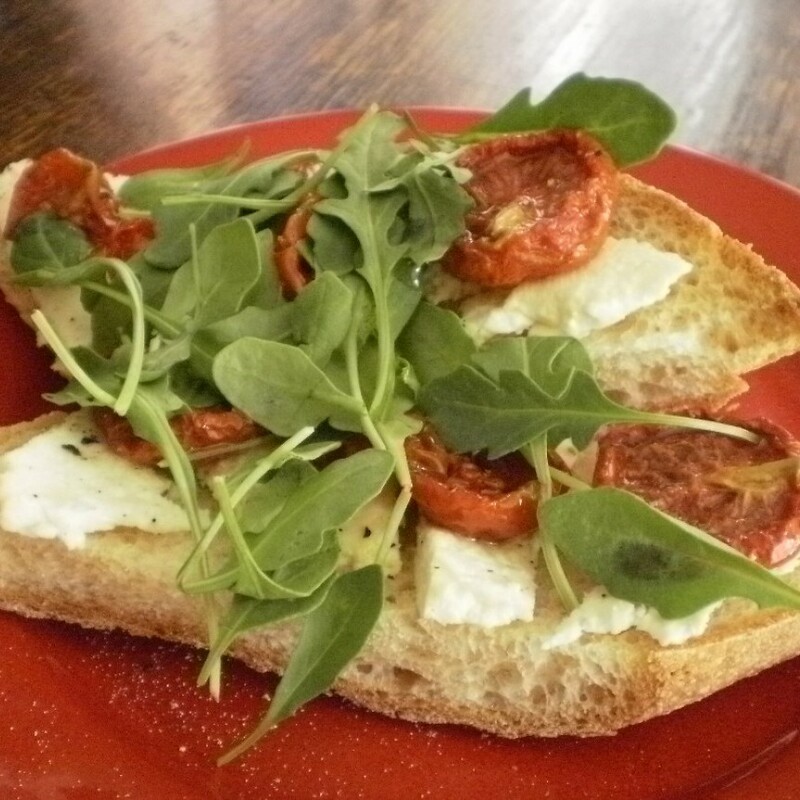 This open sandwich offers the most crunch per bite of bread! Slice a long chunk of bread, and toast it. Add a drizzle of oil, some thick slices of cheese (strong ones like Romano or feta are favourites) and some tomatoes – roasted or dried if you have them, otherwise very ripe fresh ones. Top with a heap of salad greens, such as arugula or mache. Eat this over your plate as the oil & tomato juices will drip down your arms like a summer peach. I could definitely go for one of those right now. With a glass of red wine and some olives. I hope everyone enjoyed it!